February’s winner of Hakki Pilke User of the Month is Lauri Holopainen from Jäppilä, Finland. Lauri has 2007 manufactured Expert 25, which he has equipped with many things such as HakkiLift log lifter and extended outfeed conveyor, aluminium tool box and led lighting for night shifts and dark Finnish winter. He says that even though old he’s processor it’s the fastest in the market with its 2 splitting pistons. He usually makes around 4-6 1000L bags in an hour. Thanks for participation Lauri. You will receive your Hakki Pilke jacket in time for the Spring firewood season! 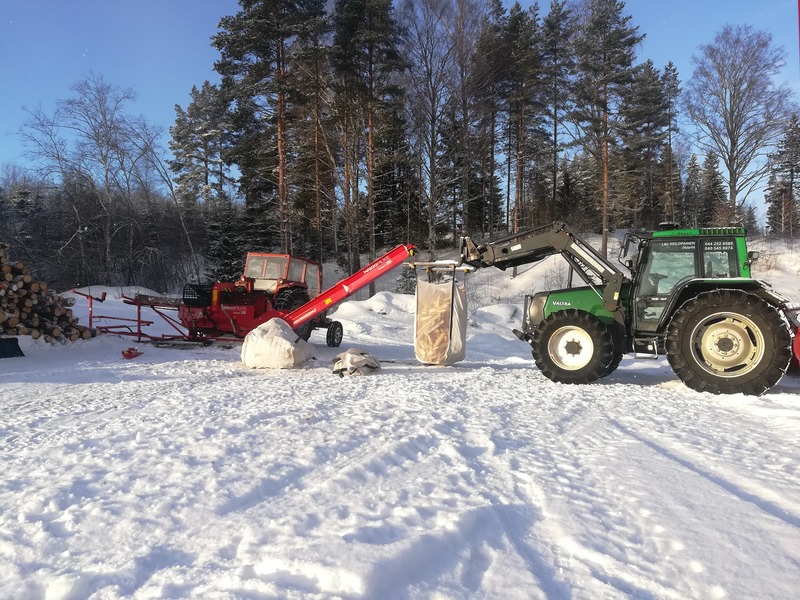 Send a picture of your own Hakki Pilke firewood processor to our Facebook inbox and you can be the next winner of Hakki Pilke User of the Month.